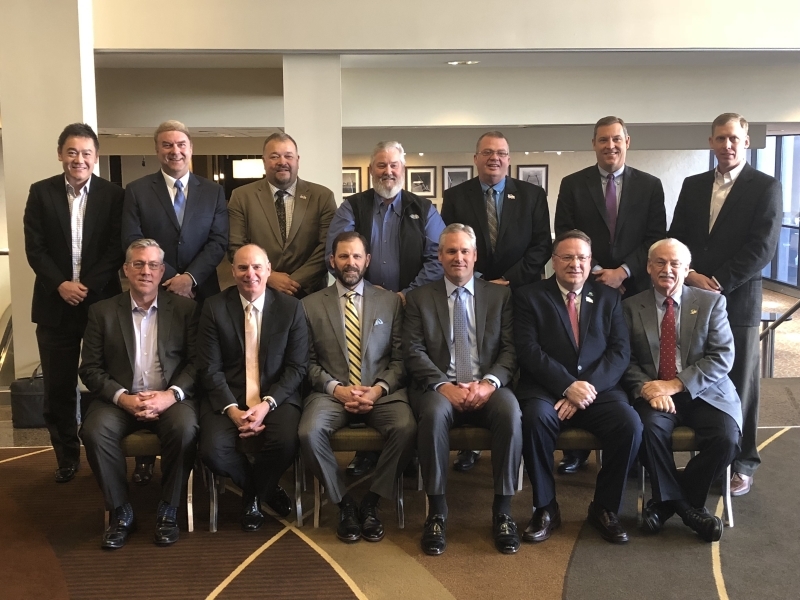 St. Louis, MO – National Biodiesel Board members voted today to elect their trade association leadership. The board reflects the wide range of member companies in the biodiesel industry from feedstock operations to producers. Mike Rath, Darling Ingredients Inc.
Kent Engelbrecht, Ron Heck, Ryan Pederson, Harry Simpson, Paul Soanes, Robert Stobaugh, and Chad Stone continue to serve on the board. The board also voted in the new slate of officers with Kent Engelbrecht returning as chairman, Chad Stone as Vice Chairman, Ryan Pederson as Treasurer and Ron Heck as Secretary.